This week Michelle, our son Zak and I went for our first visit to Italy, to mark our upcoming thirtieth marriage anniversary. The impetus for the visit came from Michelle, whose family roots are all in Italy. But I was surprised by the impact that seeing Rome had on me as well. Some bore the inscription “PONT. MAX.” for “Pontifex Maximus” or “High Priest,” from which the word “pontiff” is derived. How a student of the gospels or the letter to the Hebrews could wish to claim this title for himself must remain a mystery. 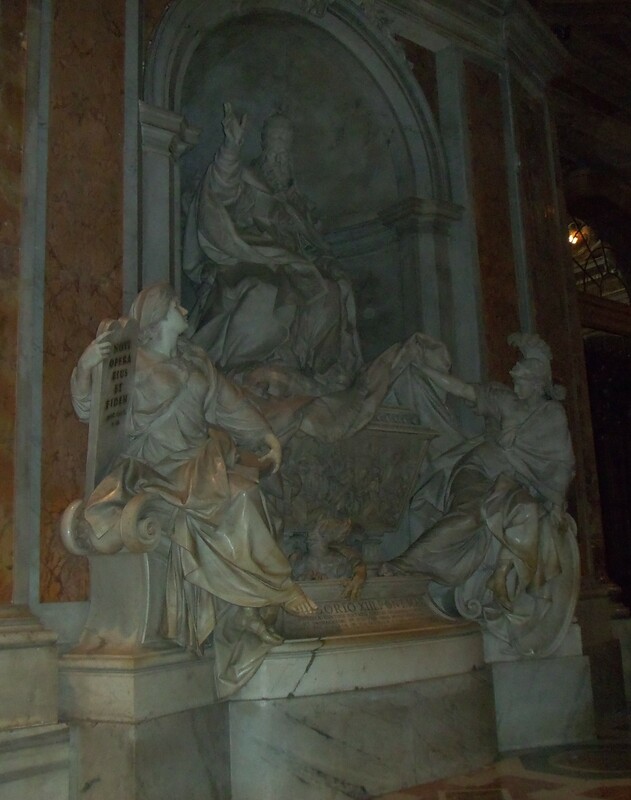 My impression is that the spirit which was behind Rome found its expression again in the church, with religion as a fig leaf (yes, we saw quite a few of those too on otherwise naked sculptures) covering over the same old exaltation of self over and against the one God. How remote it all seemed from Jesus and from Peter. 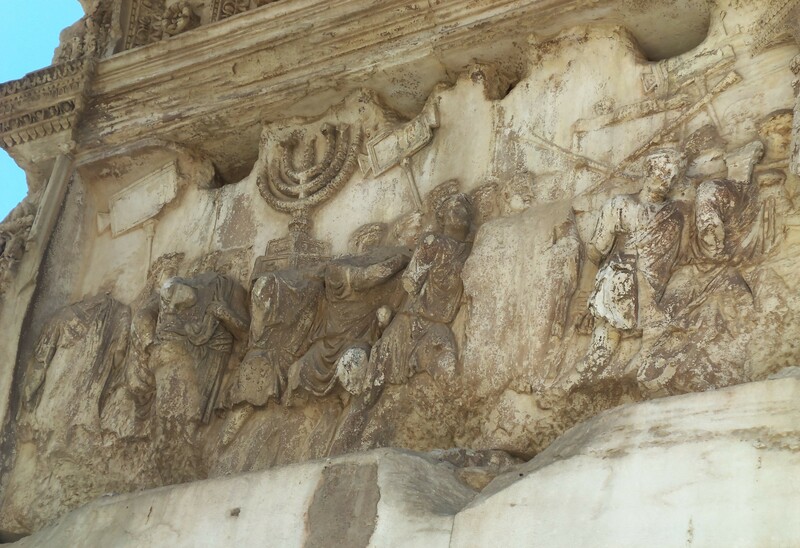 The other enduring image for me was the Arch of Titus, built to commemorate the destruction of the temple in AD 70 and the conquest of the rebellious Jews, who just wouldn’t fit in with the rest of the conquered peoples by adding the emperor to their worship. Sure enough, there was our oldest surviving representation of the lampstand from the temple worship, triumphantly carried back to Rome to symbolize the preeminence of Rome over the Jewish God. 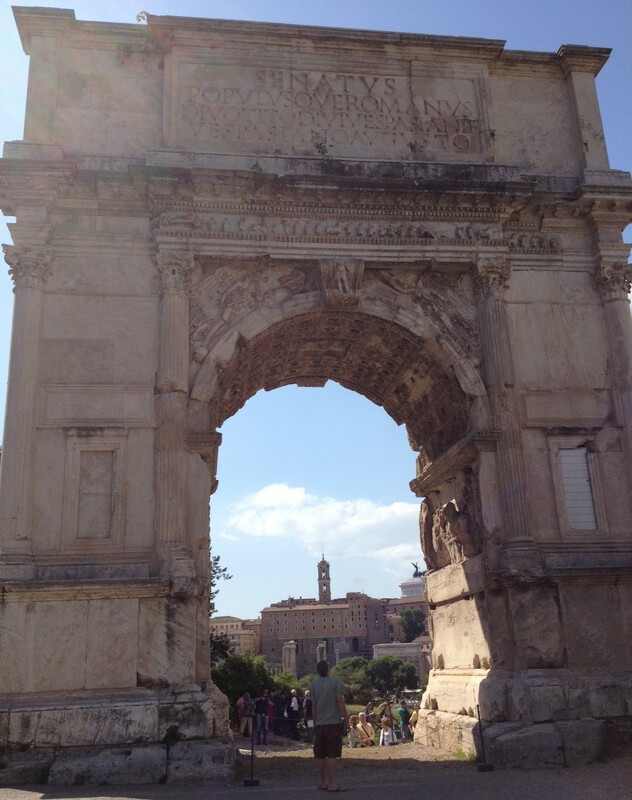 What amazed me was the location of the arch: on the highest ground dominating the Roman forum, and closest to the Colosseum. For the Romans, the destruction of Jerusalem was no footnote to history, it was a big deal. Debunking the claims of the Jews and their prophets was central to upholding the Roman world view. How good to live at a time when we see Rome in ruins, and the people of Israel alive and well and regathered in their land. How can we ever lose our awe at this miracle? May the spirit of this age be overthrown, and the kingdom of our God be established in the earth.